If you are in the market for a new home in the Temple, Belton or Copperas Cove areas of central Texas, you’ve probably noticed that prices have been creeping up over the past year. Those prices have been going up because the costs of the materials used in the construction of a new home have been going up. But did you know that those costs have been going up MUCH faster than the cost of a new home? Home builders hate to raise prices. They do everything they can to stretch their profit margin so they don’t have to hit their local home buyers with a price increase. They absorb most of the price increases in materials and only pass a part of that cost on to the consumer. That’s why you have seen prices CREEPING up instead of increasing in leaps and bounds throughout the year. At this time, the supply of lumber is low and demand is high. Economics 101 says that low supply plus high demand equals higher prices. 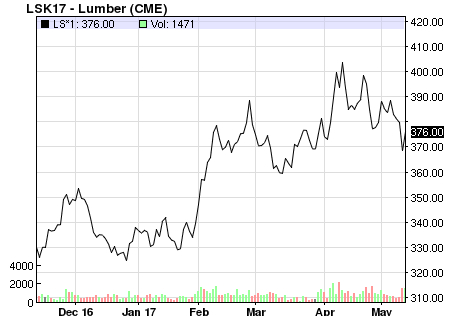 That’s where we are in today's economy..
Today, the lumber supplier for Jerry Wright Homes notified us that lumber prices are going to be significantly higher, effective immediately. If you have your eye on a new home, now's the time to get out there and buy. You'll save a good amount over homes that are under construction now and in the future. With this huge “leap and bound” in lumber prices, plus all the costs builders have stretched to absorb in the past year, all new home sales prices can do today is take a pretty good leap upward, too. Get in Touch! We will get right back to you.